I attended a walking tour once where the guide was going on about Von Gogh’s quest to paint yellow in the most yellowy of yellow ways. Even NIH articles talk about it. Theories abound. The tour was years ago but that line stuck with me. Has anything ever trapped you like that? Like a quest to craft a brushstroke for how something made you feel? My treasured friend Jess Jacobs died this weekend. She flooded my life with laughter and jokes, expanding what I knew in what it is to love a friend in the very best of ways. Jess and I met in a classroom at Georgetown where she swiftly passed out in front of me when I returned for the final pitches of my first-ever code-a-thon. Later she’d tell of waking up to a blur of people and a certain bow tie being in focus. Shortly thereafter, she fainted in front of me again and I soon learned how to trust a new friend and be there for her more than I ever had before. That pattern continued throughout my whole friendship with Jess. She gifted me a new definition of trust and capability. Some of the scariest words I’ve ever known in health care existed in Jess’ medical profile, yet she was always the outlier redefining what it meant to have those diagnoses. In the easiest of moments, we’d bandage a knee and make a few jokes about how her wardrobe encapsulated the very best of falling-down-worthy attire. We’d hand her salted sodas or ice packs and sanitizing lotion or rubbing alcohol swabs. Jess and I were ferocious FaceTime users. When she was going through a spell of bizarre fevers and infections we created an “isolation period” for when I was home from work travel. I couldn’t visit her for three days after flying so we could make sure all the germs “fell off.” It wasn’t evidence based, but it made us feel like we were doing something to help stop the mystery infections. We’d FaceTime together and share a tour of her meal tray or grand accommodations. In the best of moments, Jess and I swapped internet memes and daydreamed about our futures and families-to-be. We made pinky-promises on secret pranks. We’d debate just how much we’d rabble rouse for the next bit, celebrate our recent victories, swap stories about our must-meet mentor list, dream massively for the things we’d fix if given the opportunity, and then toodle off to our next set of shenanigans. When a tweeting artist first surfaced with an idea for something called the Walking Gallery of Healthcare — we dove in and recruited others, swiftly embracing Regina as fully as possible. Walking together that first night as the Gallery solidified our friendship. Years later, when a colleague left a post at HHS, we swapped texts about how it was the end of an era and how just like our mentors chatting about the “last time we passed health reform in the 90s,” Jess and I would one day be the older generation of folks in DC and we’d be talking about “that time in 2011” when we all met. In the toughest of moments, we’d cry together on the phone and I would beg her to never give up fighting. Relentlessly, we’d stay on the line until one of us would crack a joke that demanded a belly laugh. Instantly, we’d both be back to desperately searching the internet, scouring every published journal and data set and design workshop for another path in the choose-your-own adventure novel that was “care coordination” for dear Jess. As things were advancing for Jess, my spouse, Jake, and I were soon in her “first responder unit” — a small team of friends in DC that sought to catch her when she fell, or maybe it was more to make sure she had a gentle landing. We’d keep her company during hospital stays and, eventually, help advocate and fight for her basic rights in the health system. We’d coordinate her care when no clinician would — with the resourcefulness of our MSF-Doctors without Borders friends abroad. We didn’t have to go abroad to a remote nation state to serve where most needed, we just had to look about a block into DC. We became a bonus-family because of Jess. I became an expert at pulling up medical notes and records on cell phones (that she had at the ready at all times), honored her requests to not call an ambulance, and eventually got quite good at firmly telling venues from the Kennedy Center to the White House to trust me that the person on the ground was actually “fine” and did not need security to call 9–1–1. I learned how to recite the names of her conditions to medical teams and I often kept a little “notes” file on my phone of her latest, just in case. I carried Disney-themed band-aids and salt packets and gatorade mixes quietly in my bag at events we attended together as well as extra charging cables I could leave with her if needed. And, as I came to know more of them, I’d mention to event hosts before we were onsite to reach out if something happened to Jess and give them my cell phone. I was never the only one doing these things. We all just hoped to one day be enough. I’d watch for any of her symptoms before she might fall whenever I saw her, carefully balancing my own worry against her love of “free-range Jess” status. These small moments, these tweaks or hacks to the norm, they gave Jess the ability to live her life as an enriching part of ours. Occasionally I was scared, I’d debate the ethics of where we stood trying to be the right thing for Jess vs. the reality of those able to do the right thing, but refusing to stand. Though strangled into accepting repeat inaction, our crew was purpose-driven. This was for Jess. We invented the best protocols to follow because we had to. 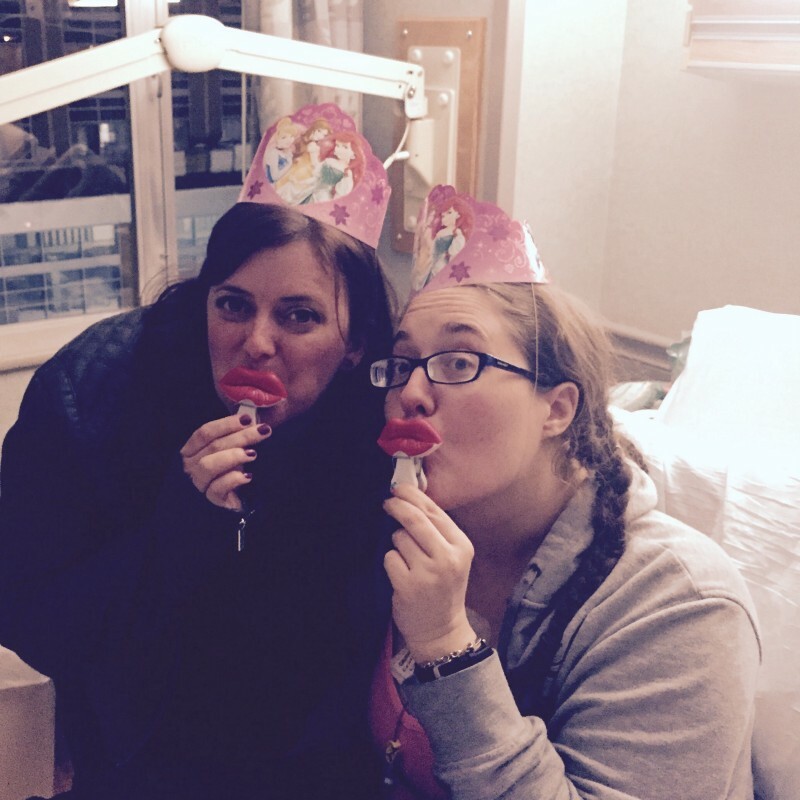 We created the Jess model of care delivery and set quality goals for how Jess wanted to live. We’d push her when we needed to and we’d comfort her when we had to. We worked within the lines and eventually grew fluid to stand outside them. We never looked back or questioned that we should do it, we always just asked how, and we became very careful to make sure we supported one another when we needed our own breaks. Jess never took a break. We functioned in this strange place in health care — we were present, but not accounted for. As friends, our little team knew a secret type of life-resilience and love for one another through our communal heartbeat, Jess. Much like Van Gogh’s quest for yellow, I may never have the ability to write how these years having Jess as my friend truly made me feel. I was blessed by her friendship. I’m so deeply thankful her family let us borrow her for a while out here in DC. She altered the DNA of our community. That’s perhaps the toughest thing to attempt to describe. She changed who we are and how we approach life and our expectations for it. Jess was the brightest light, the deepest laugh, and the spunkiest of people. She was magic. Thank you for being in my life. I love you, Jess. Visiting during one of many hospital stays. We got a little punchy in trouble shooting an IV-line-clip idea and thanks to a local pharmacy, solved it with…lip clips.